The sign of Aquarius is associated with science, technology, innovations, gadgets, individuality, uniqueness, the New Age, humanitarian ideals, and group consciousness. Because Aquarius is the sign of the water carrier, many people mistakenly believe it is a water sign, yet if this were the case, we would see much more emotion from our often cool, aloof, and detached Aquarian friends. While water signs are about mastering emotions, air signs are about mastering the mind, and as the fixed air sign, Aquarius is all about the mind. Aquarius’s concern about humanitarian ideals and their apparent coolness on a personal level can seem like a contradiction until we understand the nature of air and fixed energy. How can one be concerned for the whole of humanity and be apparently uncaring or “unfeeling” on a personal level? We might question their integrity and wonder whether they actually care or not. This is because Aquarius’s humanitarian concerns come from the head rather than the heart. It is an intellectual ideal born from intelligence and cold reason, rather than heartfelt compassion. “We are civilized people so we should be concerned for one another’s welfare.” This is one of the keys to understanding both the fear-based reactions and love-based expressions of Aquarius. To really understand both the fear-based reactions and love-based expressions of this enigmatic sign, we need to briefly review the nature of fixed energy. In astrology, we speak of energy as having three “modalities” or modes of expression, sometimes called “qualities” because they describe the quality of the energy being expressed. These three modalities are cardinal, fixed, and mutable. To understand how they work in harmony, think of a tree. The first green shoot that fights its way purposefully through the rocks and the earth towards the light of day is driven by cardinal energy, the energy of creation, evolution, and new beginnings. Cardinal energy is a driving force that pushes life onwards and upwards. Now think of the trunk of the tree. That is fixed energy, the energy of a placeholder, containing and holding the energy within a fixed form or structure. Wherever there is structure – the structure of the trunk, the branches, the leaves, the cells within the leaves and even the DNA structure within those cells – we have fixed energy at work. It is fixed energy that will stabilize the tree within a structure for the duration of its life so it can fulfill its purpose. Now think of the end of the life cycle when the tree dies. The leaves die and drop off, the trunk eventually breaks down, and the matter decomposes and transform into compost. This breaking down and changing and dissolving of form is mutable energy. The energy can then be reused (in the form of cardinal energy) once again at the beginning of a new life cycle. In the modalities we see the three essential energies that comprise the cycle of life: cardinal (creation), fixed (stability), and mutable (destruction). Now think of the octaves of the musical scale, and you’ll understand the biggest challenge for all fixed signs, especially Aquarius. Fixed energy wants to “fixate” on something. So the only question becomes whether you lock and hold on the lowest octaves of the scale or on the highest ones. In terms of your spiritual journey, this refers to your level of consciousness. As the fixed air sign, Aquarius is all about mastering the mind and the intellect. This is what makes Aquarius one of the most challenging signs for those on the spiritual quest, because changing course (by changing your mind) once you have locked in on your target like a heat-seeking missile is one of the most difficult things for you to do. This is why our Aquarian friends (and indeed all fixed signs) have a reputation for stubbornness. On the spiritual journey, the activity of the intellect is actually considered an obstacle. We need to be able to go beyond intellect in order to realize spiritual truth, and this is where Aquarius often gets caught. Contrary to our contemporary Western view (where intellect is held in the highest esteem), in terms of spiritual development, attachment to intellectual ideas without the experience of direct perception is considered a form of ignorance. The term “ignorance” in this context is not meant to be offensive, but refers to people who are not yet spiritually awake. We are all “ignorant” as long as our perception of spiritual truth is obscured, and it is the intellect that can be one of our biggest obstacles. In Esoteric Astrology, the Tibetan explains that we are evolving from instinct, through intellect, to intuition. In other words, intellect is a developmental stage that we are passing through. So when our Aquarian friends get stuck there, their spiritual development has reached a hiatus! The above quote is speaking of the problem of being stuck at the intellectual level. Spiritual teachers and yogis speak of three levels of consciousness: gross, subtle, and extremely subtle. Gross consciousness is tangible and most related to our senses; we can see a rock, we can pick it up and feel it. We can hear running water. Subtle consciousness is the realm of thoughts. We are aware of thinking, but we cannot see our thoughts or touch them. This is where we experience the intellect. Extremely subtle consciousness lies in the stillness and silence beyond thoughts, and this is where we experience intuition. It is the consciousness of the Universe, and once we are able to abide at this level for prolonged periods of time, as great masters and yogis do, it is said that we have access to the wisdom of the Universe. The musical scale of our spiritual journey is the ability to reach the high note of extremely subtle consciousness and remain there. While it is difficult for our Aquarian friends to navigate their way up the scale, and they face the danger of becoming stuck at the level of intellect, once they do reach the level of extremely subtle consciousness, their fixed nature gives them the advantage of being able to hold their attention there for long periods of time. Fixed signs can be great meditators if they have chosen well and fixed on the right level of consciousness! This is where we see the highest octave of Aquarius. Esoterically, Aquarius is the sign of group consciousness. This is not the tribal consciousness that is often associated with Cancer, but refers to the highest unity consciousness that is accessible only at the level of extremely subtle consciousness. As we follow the soul’s journey through the twelve signs of the Zodiac, after the soul in the cardinal earth sign of Capricorn has learned how to methodically take the steps up the mountain (in other words to navigate the musical scale of consciousness and reach the high note of unity consciousness), Aquarius is able to hold the tone and allow the spiritual waters of love and life to flow for the benefit of humanity. 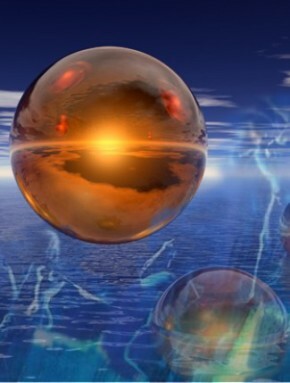 At this extremely subtle level of consciousness, it is not holding in the sense of grasping, but rather it is a soft focus on subtle energies that accepts the flow of the dual waters of Aquarius, love and life. 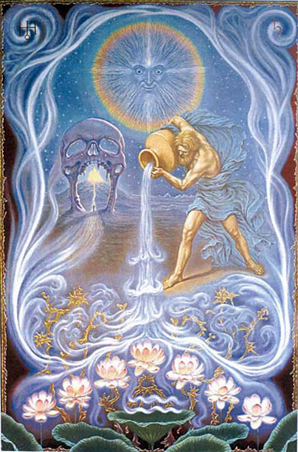 This is why, although Aquarius is the sign of the water carrier and has the symbolism of being a “vessel” to bring forth spiritual energy, we can also see that the water is always flowing. This is a vessel through which spiritual energy flows and is not contained. At this level, the energy of Aquarius joins with his polar opposite, heart-centered Leo, and the united sign of Aquarius-Leo flows the energy of love and life through a pure and open heart. Once we balance the Aquarius-Leo polarity, we are centered in our hearts, yet connected to the collective consciousness of humanity at one and the same time. There is great warmth and love here and not the cool, uncaring, aloofness that is often associated with the intellectual Aquarian. This is also why, esoterically, at its highest spiritual expression, Aquarius is the sign of the collective consciousness of humanity and the flowering of human consciousness. Once we have completed our soul’s passage through Aquarius, then we are ready for the sacred heart opening that happens on the last stage of our journey in Pisces! If you have Aquarius Rising, you can consider yourself to be an Aquarian Soul, and your highest purpose is to flow the “dual waters of love and life for the benefit of thirsty humanity” (the Tibetan, Esoteric Astrology). The only question is whether you will fix your attention on a lower consciousness by getting caught in your own mental activity, or whether you will be able to go beyond your own thoughts and focus your attention on the peace and stillness that lies within. Then you will reach your highest soul purpose and access the flowering collective consciousness of humanity, and love and life will pour through you for the benefit of all. This entry was posted in Guest Posts and tagged Aquarius, Aquarius Rising, Esoteric Astrology, soul astrology on February 7, 2014 by Pat. Maori goddess Papatuanuku as Capricorn. © Karen MacKenzie, 2013. Details below. As we continue our journey exploring the fear-based reactions and love-based expressions of the twelve zodiac signs, we arrive at the deeply mysterious sign of Capricorn. Capricorn is associated with achievement, practical application, method, ambition, material resources, finances, government, initiation, and discipleship. Esoterically it is said that the spiritual “goal” is identified in Sagittarius, and then in Capricorn we choose to walk the path. The highest soul purpose of Capricorn is “to create heaven on Earth,” and it is no accident that we celebrate Christmas and the birth of the Christ during Capricorn season. The words “discipline” and “disciple” both have their origin in the Latin verb discere, which simply means “to learn.” So if Sagittarius has identified the spiritual goal, Capricorn’s job is learning how to get there. The whole idea of discipleship implies that there is a practical methodology to achieve a tangible result. Through our soul’s experience in Capricorn, we learn to build a very real “stairway to heaven.” So what would this “heaven” look like? Rather than thinking of it as a physical location, it can be thought of as the blissful state of nirvana or samhadi that comes after many years of applied discipline in a yogic or monastic tradition. Capricorn is the sign of mindfulness, method, and skill cultivated through patient application and practice. The power that was gained in Sagittarius must now be applied in practice. The essence of Capricorn lies in the most appropriate use of resources, in particular spiritual resources, to achieve success. This is the key to understanding both the fear based reactions and love-based responses of Capricorn. Esoterically, Capricorn is said to be the most mysterious sign of all, and we will only fully come to understand the true meaning of Capricorn when humanity has made a great leap in consciousness. Of all twelve signs, Capricorn is most associated with both the best and the worst of human character. To understand this, we need higher consciousness and an understanding of energy. Capricorn is said to rule governments, politics and banking. The current sorry state of the world’s banks, greed, avarice, corrupt politicians greedy for power, global inequalities in wealth, health and resources, has been attributed to the “negative” or fear-based expressions of Capricorn. Yet esoterically this is the sign of the initiate and the disciple! How can this be? The soul in Capricorn is learning “right use of resources,” including our inner resources: our physical, emotional, mental, and spiritual energy. We cannot learn the power of our own energies and become skilled in their use from books. We can do so only through experience, practical application, and diligent practice – all Capricorn qualities. Through this, we develop the consciousness that results from deep self-observation where we become skilled at watching our own energies play out. Eventually, we then begin to see energetic patterns, connections, and deepen our understanding of the nature of energy and the laws of cause and effect. In spiritual traditions where deep self-observation is part of the practice, students are encouraged to examine their own motivation. This means deeply observing the energies in you that motivate your thoughts, words, and actions, so that you come to know and understand your own driving forces. In this way, practitioners eventually begin to see important connections between seemingly different energies. The current state of affairs in the world is a catalyst for human compassion to flower on a scale the likes of which have never before been known, and this is the lesson and the gift of Capricorn. In order to fully understand this, we need experience of how these energy dynamics work in our own energy field, which is why Capricorn is also the sign for skillful method, initiation, and discipleship. The word “initiate” means to begin something or to be introduced to something. Without an introduction from skilled and experienced teachers, we are unlikely to see these energy dynamics for ourselves. Even Christ and the Buddha had teachers in their youth to point out the path. Next comes the discipleship, or discipline of applied practice. This means keeping our attention on the path. If we follow the energy of our greed, it takes us outside of ourselves, pursuing the object(s) of our desire and trying to fill a bottomless pit inside. It is this fear-based expression of Capricorn that leads to Capricorn’s worst reputation. If we really observe ourselves deeply when we are experiencing greed, we can see that underneath it there is anxiety, fear, and maybe even terror. When we experience fear and terror, we naturally want to get as much as we can to take care of ourselves and our families. When our Capricorn friends succumb to fear, they may mistakenly chase after more worldly wealth and power, naturally trying to acquire and ring-fence resources for their own use, which gives them a false sense of security and short-lived peace of mind. Once they become well-versed and skilled in the art of energy dynamics, we will see that our Capricorn friends are transformed into the most generous and compassionate people on the planet! The Capricorn soul realizes that greed and compassion are but two expressions of the same energy and has the skill to transmute greed, avarice, and the base emotions of desire into compassion, love, and the highest qualities of humanity. If you have Capricorn Rising, you can consider yourself to be a Capricorn soul. Your true skill and power lie in your innate focus, intelligence, and diligent method, which give you the ability to trace the energy of your emotions and desires back to their source. Rather than following the outward acquisitive direction of greed, by turning your attention inwards, observing your energy and tracing it back to its inner root, you will see it transform into compassion – first for yourself and then for others. From this connection to your innate compassion comes a deep and lasting sense of achievement, fulfilment, and spiritual nourishment. You then have an endless resource from which to practically and realistically build heaven on earth. This entry was posted in Guest Posts and tagged capricorn, Esoteric Astrology, Rising Capricorn, soul astrology on January 8, 2014 by Pat. 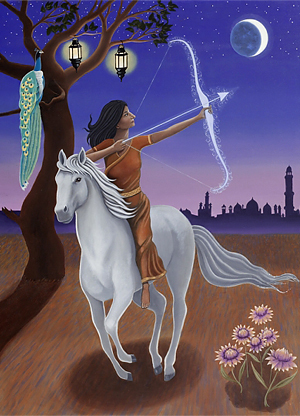 The Hindu goddess Saraswati as Sagittarius. © Karen MacKenzie, 2013. Details below. As we continue our journey looking at the fear-based reactions and love-based expressions of the twelve zodiac signs, we arrive at Sagittarius, the sign of the seeker. Sagittarius is associated with seeking, searching, teaching, learning, travel, philosophy, wisdom, religion, idealism, optimism, purpose, freedom, goals and truth. These all seem like worthy higher pursuits, yet when viewed through the lens of the fear-based ego can become badly distorted. Higher truth, freedom and spiritual goals can become fear-based dogma, opinions, freedom for selfish pursuits, and ego-driven materialistic goals. The lessons that begin in one sign are carried forward by the next, so like his predecessor Scorpio, Sagittarius is also learning the balance of power. In Esoteric Astrology, we are told that the fire signs bring three gifts. In Aries we have the gift of existence; in Leo we have the gift of opportunity through individuality; and in Sagittarius we have the gift of power – but this is a higher power of which we speak, not power over others, which would be the egoic idea of power, but rather the power of self-mastery. The self-realization attained in Leo that became self-reliance in Scorpio is now set, in Sagittarius, to become self-mastery. Fear comes from the illusion of separation. Understanding this is key to understanding the higher wisdom of Sagittarius, because the highest wisdom comes from oneness. From unity consciousness. The awareness that all really is one. As long as our Sagittarian friend is caught in illusion and duality, his power will be directed toward self-advancement. There is a key distinction for Sagittarius to understand: whether the freedom he seeks is truly freedom from the illusion of ego, or whether he is simply seeking freedom for his ego! The freedom to be oneself is one of the highest values in our Western culture, yet for the most part what we really mean is the freedom to do as we please. Yet doing as we please can keep us firmly stuck in our own conditioned behaviors and fear-based ego responses. When we really get everything we desire, we can become truly miserable and realize that none of it had the power to bring us deeper satisfaction and fulfillment. That can only come from within. Driven by innate curiosity and a thirst for knowledge about life, the universe, and everything, our Sagittarian friend is on a lifelong quest for truth. Yet Sagittarius is not called the sign of the philosopher for nothing. Philosophy is all about taking ideas and applying them to life in meaningful ways – in other words taking an idea and turning it into a rule or guide by which we “should” live. 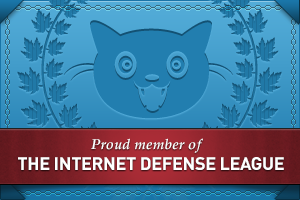 On the surface this might seem like a good thing. Having idealistic standards to strive for and moral codes to live by can only improve our lives, right? Yet that has been the story of human history from the onset. Each generation seeks to impose its set of rules, codes and standards on the society for the purpose of “improving” it. Mental concepts taken to extremes become dogma, and there is a fine line between philosophy and dogma. When our Sagittarian friend becomes fearful, he clings to his mental concepts, has difficulty distinguishing personal opinion from truth, and may cling to dogma from a false sense of security. The highest wisdom that Sagittarius truly seeks is beyond words, language, and mental concepts. The universe has the power to create mountains, move oceans, grow rainforests, and fill them with a myriad of living beings, while simultaneously keeping the solar system orbiting around the Sun and maintaining the delicate inner workings of a human body, from digesting your food to making sure the oxygen levels in your cells are in perfect balance – all in silence and all without a single philosophy, moral code, or standard about how things ought to be done. Do you ever wonder how it coped before humans arrived on the scene to think about the “best way” to do life? Amazing! The real power of Sagittarius comes when he realizes self-mastery, which begins with mastering his own thoughts and actions. When the Archer turns his arrow inward, he focuses on the correct goal, the journey to seek his true nature. Our true nature as human beings lies well beyond our capacity for thought and is discovered through direct perception. It is the difference between experiencing ice cream and thinking about ice cream! Through deeper meditative or spiritual practices Sagittarius begins to realize his deep connection with life itself. Feeling the pulse of life force energy surging through his veins, and when his busy mind becomes quiet, our Sagittarius friend wakes up to the realization that he is one with the very life force that is moving planets and creating universes. Through direct perception, he realizes that these universal forces are running through him and that he and the universe are one and the same. Through his own expanded perception and awareness, he arrives at the ultimate goal. The Tibetan Buddhist tradition speaks of “clear-light” wisdom, a higher wisdom beyond conceptual thinking that we can access when we have become stable enough in meditation to experience the true nature of mind, which is said to be clear light. Through meditative practices, the everyday mind is transcended, and the true nature of our clear light mind can be accessed. It is said that all wisdom can be known at this point, but it is not what we would normally think of as knowledge. It is not information. It doesn’t come in the form of words or thinking. It is through direct perception and resting in clear awareness that such wisdom is known. Once there has even been a glimpse of recognition of the clear-light wisdom that lies beyond the chatter of our everyday mind, we have identified the true goal. This is the highest wisdom and deeper spiritual truth that our Sagittarian friends really seek. Through deeper contemplative practices, it is possible to abide continuously in this awareness, and by doing so, ever-deeper insights into the true nature of the universe will arise. We may realize that our awareness and the awareness of the universe are one and the same, and that the nature of the universe is awareness itself. In Tibetan Buddhism, this is said to be the ultimate wisdom. If you have Sagittarius Rising, you may consider yourself to be a Sagittarian Soul, and your soul’s purpose is to uplift humanity through the revelation of truth and wisdom. To attain this highest of goals, you first need to transcend your own fear-based reactions, which may cause you to cling to opinions and manmade dogma as though they were spiritual truth. When you are free of such manmade concepts and self-imposed dogma, you are truly liberated. This is achieved by going deeper within on your own journey of self-exploration, where you realize your true power, recognize your true nature as oneness with all that is, and have access to the ultimate wisdom of the universe! This entry was posted in Guest Posts and tagged Rising sign, Sagittarius, soul astrology on December 15, 2013 by Pat. As we continue our journey through the twelve signs of the zodiac, exploring the fear-based reactions and highest love-based expressions of each sign, we arrive at the beautiful sign of Libra. Symbolized by the scales, Libra is associated with balance, harmony, justice, ethics and the law. Esoterically, Libra is associated with the Law of Harmonics, and the whole of nature is governed by harmonics. Perfect balance. Ecosystems depend upon it. Taking the twelve zodiac signs as symbols of developmental stages on our soul’s journey, after the soul has found love in Virgo, Libra now realizes the power of choosing the highest expression for that divine love. If you have Libra Rising, you can consider yourself to be a Libra Soul, and your purpose is to bring greater degrees of harmony and balance into the world through right relationship. The Libra Soul resonates with harmonics, and Libra’s innate sense of harmony comes from deep inner knowing of this universal law. This is an important key to understanding both the lower fear-based expression of Libra and the highest love-based expression, so we will take a moment to explore harmonics and how it relates to the sign of Libra. The universe is made of consciousness, which expresses itself through various frequencies. We can think of a human being as an instrument of perception created for detecting some of those frequencies within a specific range. We do this through our five senses. We feel vibration at a physical level and then once this vibration speeds up, we experience it as a sound. When it becomes even faster again, we experience it as light. In this way, consciousness experiences itself through a human being, and in turn we are aware of the conscious universe through our five senses. By fine-tuning our instrument and increasing our sensitivity (our ability to perceive through our senses), we become aware of subtler and subtler levels of awareness. We are on a journey of experiencing conscious awareness through our senses and then recognizing that conscious awareness as ourselves. We call this our spiritual journey. that the wind strikes upon the tree branches. Experienced meditators tell us that once we are able to sense subtle frequencies beyond thought and mental activity, we enter a different state of consciousness where there is a natural state of peace and joy, and even more subtle vibrations can be detected. The pathway to this innate natural peace and joy requires navigating the energetic scale from the lower frequencies such as strong painful emotions to the higher frequencies of love and light. We do this in much the same way as climbing the musical scale from the lower octaves to the higher octaves. Before we can navigate any scale, we first need to understand the relationship between the different levels, and this is where harmony enters the picture. Harmony exists where there is “right relationship.” For example, in music there can be consonant (congruent) sounds and dissonant (incongruent) sounds. Contrary to popular belief, harmony doesn’t happen only when there are consonant sounds, but where there is a balance between consonant and dissonant sounds. So when our Libra friends focus only on having pleasant (congruent) experiences to the exclusion of what might be causing discomfort (incongruence), they actually move farther away from the very harmony that they so deeply desire. Harmonizing means bringing both the consonant and dissonant notes in our lives into right relationship with one another. This is an ever-unfolding process whereby we open ourselves to greater degrees of harmony and congruence. We can now see why the themes of harmony, peace, higher thought, natural law, and right relationship are important for the soul’s journey through Libra. In order for humanity to make music together rather than just noise, there needs to be right relationship between our consonant and dissonant notes! The true inner peace that Libra seeks is the result of harmonizing all our experiences, both pleasant and unpleasant, into one cohesive whole so we experience right relationship with ourselves, others, and the whole of nature. The purest essence of Libra is higher love, peace, beauty, and harmony. Anyone with personal planets in Libra innately resonates at this frequency and therefore not only has an innate ability to detect subtle nuances of disharmony and incongruence, but also has a deep inner knowing of what needs to happen to restore harmony, balance, and congruence. However this spiritual essence is filtered through the lens of a fear-based human mind, which colors its expression. When our Libra friends experience fear, they may try manipulating the people and environment around them in a misguided attempt to “keep the peace” by avoiding incongruent experiences. The motivation beneath this behavior is their desire for peace, but this will only happen when they embrace that which is incongruent, thereby bringing it into harmony, balance, and congruence. This is why a major theme for Libra is balancing relationships, especially the relationship between self and other. One of the skillful ways in which Libra “hides” to avoid dealing with uncomfortable issues is by keeping their attention on others and on meeting other people’s needs. While this seems to work for a short time, it isn’t really a firm foundation for a healthy relationship, because in itself it is incongruent and ultimately leads to resentment. For there to be balance in any relationship, our Libra friends have to bite the bullet and look at the causes of discomfort and incongruence. This involves going within, looking closely at themselves and the role they are playing in other people’s lives. Then our Libra friends will have a precious opportunity to fine-tune their skills of harmonizing through right relationship. Right relationship means being at peace within ourselves first, and then we will always be in right relationship with others. [quote cite=”~ Marcus Aurelius”]He who lives in harmony with himself lives in harmony with the universe. [/quote]Libra is a cardinal sign after all, and cardinal signs are pioneering signs of leadership. If you have Libra Rising, your soul’s purpose is pioneering in the field of right relationship, bringing innovative solutions that contribute to world peace and harmony. When you become fearful, you have a tendency to avoid discomfort and seek only pleasant experiences, but this cannot bring the true harmony you so deeply desire. By having the courage to look directly at the causes of discomfort and then takinng inspired action to harmonize them, you can access the power of higher love and express your soul’s purpose in the real world through effective relating skills. This entry was posted in Guest Posts, Love & Relationships and tagged Esoteric Astrology, Libra, Rising Libra, soul astrology on October 9, 2013 by Pat. In other words if you have Virgo Rising, you can consider yourself to be a Virgo Soul, and you Soul’s purpose is to bring greater degrees of love into the world through your sacred work. In modern times, the meaning of work becomes distorted when we think we have to accept jobs that are soul-destroying because we need the wages. In contrast, our true vocation is actually our spiritual calling. It is our divine work and our very reason for being. 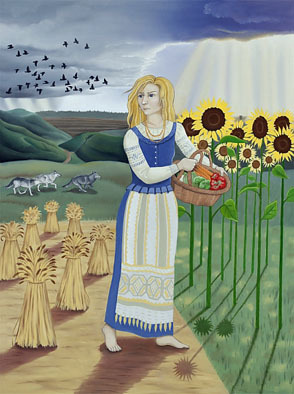 It is the purest expression of our life and soul, and finding our vocation, discovering the place of wholeness where we can fully be and express ourselves through our life’s work, is the highest purpose of Virgo. Before we can do this we have to purify the fear-based expressions of Virgo and access the highest love-based expression of this beautiful sign. Ruled by Mercury, the Virgo mind is perceptive, discerning, detailed, incisive, and analytical. These attributes combined with an inherent desire for perfection can lead to many of the challenges that our Virgo friend experiences at the fear-based personality level. If left unchecked, your mind can go into overdrive, run you around in circles like a dog chasing its tail, and leave you feeling jaded, anxious, disheartened, and somewhat overly critical as you become cynical about the “imperfect” world around you. Yet ironically, in Esoteric Astrology, Mercury is also associated with the development of higher mind. The action of Mercury may seem to be Virgo’s downfall, yet it actually indicates the pathway to the higher purpose of Virgo. The real purification that Virgo needs is purification of the mind, and the true perfection that you seek is perfection of your soul. The word “pure” comes from the Latin purus, which derived from the Greek pyr, meaning “fire.” The words pure and pyre (as in a funeral pyre) originate from the same root. Originally, the word “purification” meant cleansing by fire, and this is a clue to the deeper esoteric mysteries of Virgo and her highest soul purpose. The cleansing that happens when the soul is in Virgo is a spiritual cleansing, and the fire of which we speak is the cool spiritual flame of awareness that burns off all ignorance and reveals the light of awareness. Once the flame of awareness has arisen in Leo, it is Virgo’s job to bring that pure awareness into the real world in practical ways. At the personality level, Virgo has a brilliant, sharp, analytical mind. Let’s pause for a moment and (in true Virgo style!) examine the word “analyze.” In the 1600s, the analyse meant “to dissect.” So when we are analysing something, we are “cutting it up.” Figuratively speaking, and sometimes even literally, we are taking it apart so we can examine all its component parts more closely. While the sign of Virgo is often associated with brilliant research and detailed analysis, the true gift of Virgo (and her association with healing) lies in the way she puts things back together again! For synthesis to happen, there must be separate parts that require synthesising, so we can see that by nature, during the process of synthesizing there is still a sense of separation. Once the separate parts become whole again, the highest octave of Virgo has transcended separation and returned to wholeness. The very word “heal” comes from the Old English haelan, which literally means “to make whole.” That which makes things whole is pure awareness itself. At the highest level, your Virgo Soul already knows that all things, all phenomena in material existence, arise from pure awareness (or consciousness) and resolve back into pure awareness itself. [quote cite=”~ Dr. Amit Goswami, The Self-Aware Universe“]Consciousness is the ground of all existence. [/quote] Your Virgo Soul knows that it is pure awareness itself that resolves all. So we can see that it is not analysis itself that heals (because by nature analysis dissects and separates), but rather it is the quality of the awareness that we bring to something that heals, because it brings us back to an awareness of wholeness, and in this wholeness, we find love. Cold analysis, without the presence of love, only increases separation and dis-ease. One of the deepest sacred mysteries of Virgo understands that it is actually our loving awareness that heals. We heal by bringing our loving, aware, conscious presence to something. By doing so, we return to the wholeness from which all arises and therin we find the purest divine love. Flowing this pure divine love into the world by bringing pure awareness (presence or consciousness) into our everyday work is the highest soul purpose of Virgo. [quote cite=”~ The Tibetan, Esoteric Astrology”]I am the Mother and the child. After enlightenment, chop wood, carry water! If you have Virgo Rising, your soul’s purpose is to bring divine love into the world. When you become fearful, it is too easy for you to become lost in mental activity and exhaust yourself by trying to find perfection in the outer world. The key is to recognize, through your brilliant clear direct perception, that the source of your exquisite discernment and analysis is awareness itself, and within that awareness is love. When you realize that you are that awareness, you also know without doubt that you are love. You realize that you are the embodiment of loving awareness. At that point, all work becomes your vocation, as the quality of your loving awareness brings perfection to everything you do by making it sacred. This is the soul’s journey through Virgo. This entry was posted in Guest Posts and tagged Esoteric Astrology, soul astrology, Virgo on September 11, 2013 by Pat. 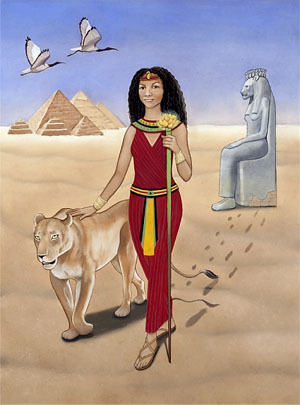 The regal sign of Leo is associated with kings, royalty, nobility, drama, theater, actors, children, creativity, and play. Leo is the sign of self-realization – the path that takes us from self-consciousness through self-awareness to ultimate self-realization. Along the way we may develop a misguided sense of self-importance, but this is understandable when we consider our experience as we pass through the Leo stage of our soul’s journey. As mentioned earlier in this series, your soul’s journey is indicated by your Rising Sign (Ascendant). If you have Leo rising, you can consider yourself to be a Leo soul, and you are part of the group of Leo souls who are here to usher in an era of heart-centered leadership through creative expression of divine will. Before you can reach this highest potential, you need to overcome the fear-based expressions of Leo so you may live your life through the highest love-based expression of Leo. This means fully understanding the ego personality so you can rise above it. There is a false self and a real self, and it is Leo’s job to figure out which is which. The Leo stage of our soul’s journey is a highly significant developmental milestone in the evolution of human consciousness. Leo is indeed very important, but not in the self-important way that the ego would like to think! In Esoteric Astrology, by Alice Bailey, the Tibetan Master explains that we “do battle” in two signs, Leo and Scorpio. In Leo we are fighting for our individuality while, at a later stage, the battle in Scorpio is for our soul. The journey of Leo is one of individuation, and recognizing the importance of the individual is a vital step in the process. It is Leo’s job to stand up and say, “What about ME?” A newborn infant is a bundle of pure awareness. They are aware that they are hungry, they cry, they get fed. They are aware that they are uncomfortable, they cry, someone (hopefully) comes to make them feel comfortable again. There is no idea of “me.” This is an important point to recognize, if we are to fully understand individuation. You might be able to remember back in your own life to a time when you were so young, there was just experience without labels. If you have been fortunate enough to spend some time with young infants, you’ll notice this exploring stage. When they pick up a flower, a building block, an insect – anything – the process is the same. They touch. Feel. Look. Probably put it to their mouth. If left undisturbed, they will spend a long time getting to know the object. They are immersed in pure experience without mental concepts. A new baby can’t think, “This is a flower.” Labels are given later by those around him who will tell him, “That is a flower.” But it is important to recognize that even before he had the capacity to think “this is a flower,” he was still experiencing, and his experience was individuated. It was his experience, nobody else’s. It is a normal part of our intellectual development that we will quickly learn language and labels. It is an essential stage, because it is how we relate to the society into which we have been born. We initially connect with others and begin to relate in non-verbal ways with our parents, but very quickly as our social circle grows, we begin developing social skills, one of the most important of which is language. This process hints at both the fear-based ego-personality expressions of Leo and the highest love-based soul expression. The biggest ego-challenge for Leo is not to get caught in labels. When the society tells a Leo that he is a banker, nurse, actor, fire officer, police officer, dropout, genius, addict, executive, scientist, slob, etc., he is likely to play the role full out. With great integrity, responsibility, and deep sincerity Leo will play the part that society has conferred upon him, whether he be a prince or a pauper. The danger is when he comes to believe this is who he really is. Deep down he knows he really is a “somebody,” but the mistake is in thinking that the “somebody” is his role in society. This is why sometimes Leo can appear stuffy or pompous. There can be a sense of being unnatural, as Leo wholeheartedly throws his life and soul into the role he has been given. At this point our Leo friend is self-conscious. At some point our infant began to develop the idea of “me.” There is a point in child development where an infant will just look into a mirror and giggle. There is no “self” recognition. Then one day it arises. Suddenly, the infant looks in the mirror and realizes they are looking at their individual self, which they will soon come to call “me.” This is the arising of self-consciousness. From this point, as the child grows, he will be comparing self with other to find his place in the world. To see where he fits into the society in which he was born. Until recent times, people never went beyond this stage. In communist countries, we can see there is very little emphasis on an individual self, as one is expected to be a “good citizen” and do one’s duty to contribute to the society. This was also the case in the West before 1945. Since then, in the West at least, we have seen the emergence of the individual. People no longer want to be seen as cogs in a machine. We can also see this in the current wave of revolutions in the Middle East as people are standing up and saying, “What about ME?” Individuals are demanding to be acknowledged, and this is a vital stage in the evolution of consciousness, because it is individuals who awaken, not societies. Society itself is merely a label that we have given to a group of individuals. On our spiritual path, there comes a time to drop all labels and recognize reality for what it is. In meditation, we might return to the state of pure experiencing, where we can spend time with a flower simply experiencing its essence without the thought, “This is a flower.” If you have Leo Rising, you are here to awaken, to remember the state of pure being that is beyond all labels and concepts. Once you have returned to this childlike state, you will recognize yourself as awareness itself, and awareness will be aware of itself. This is the ultimate self-realization. You recognize your self as the essence of all existence. Then you will live life through your heart-center and be a pure expression of divine will in the world. You will know your will and God’s will to be one and the same. This entry was posted in Guest Posts and tagged Alice Bailey, Esoteric Astrology, Leo, Rising Leo, soul astrology on July 31, 2013 by Pat. Aries. From the Empowered Feminine Zodiac series by Karen MacKenzie. © 2012. On March 20, the Sun entered Aries, marking the beginning of a new zodiac year. In many traditions this also marks the first day of spring (or autumn in the southern hemisphere). It is a time of new beginnings, new growth: a time of creation. What better time to begin a new series exploring the contrasts between the personality and soul expressions of each sign, beginning with the inspirational, innovative and impulsive sign of Aries? Your soul is indicated by your Rising sign (Ascendant). This is the sign that was rising on the horizon at the time of your birth and, as such, is considered by soul-centered astrologers* to be the most important sign in astrology, precisely because it indicates your soul’s path, purpose and expression. If you have Aries Rising, you could say that you are an “Aries Soul.” Simply put, if you have Aries Rising, you are here to express the highest spiritual purpose of Aries, to the degree that you can, in this lifetime. Whether you will experience and actualize the full spiritual potential of your Ascendant or not depends upon your level of consciousness. If you are spiritually asleep, you will naturally experience the qualities of your Ascendant as an inherent part of your personality. As you awaken to your spiritual purpose, you will feel a quickening, experiencing the subtle stirrings of your soul’s calling, through your Ascendant. The Ascendant bridges the worlds between sleep and awakening. If we think of the octaves of the musical scale, we can get an idea about the lower and higher vibrations of each sign. The lower octaves are fear-based and come from externaly imposed ideas about how we ought to be, while the higher octaves are love-based and arise purely from within our own heart. This is an important key, not only to understanding the lower and higher expressions of each sign, but for knowing how to shift from lower to higher expressions. The shift is from fear to love, but this is meaningless until we experience the shift in perspective that comes from navigating the octaves on the spiritual spectrum. When you come from a place of love within, you will naturally express the highest octaves of your soul sign. Each soul sign is here to learn and develop in specific ways, in this lifetime. We are here to grow into what we may become: our full potential as a spiritual being. Just as an infant who is learning to speak isn’t learning a lesson as such, but is rather unfolding his natural potential, so it is the same with our soul work. Likewise our soul work shows up naturally, as major themes throughout our lives, calling us to awaken, live, and rise to the highest octaves of our soul sign. At soul level, Aries is a sign of higher mind and plays a vital role in the development of the antakharana, or “Rainbow Bridge” between higher and lower mind. This is why Aries is associated with the brow, forehead, and eyes, and is symbolized by the horns of the Ram. It is commonly believed that the eyes are the windows of the soul, and it is through the eyes that we can glimpse higher mind, or soul. This is why Aries is also highly intuitive, and the type of intuition associated with Aries is that of direct knowing. Once one can attune to the subtle spiritual energy at soul level, wisdom reveals itself fully and completely without having to go through the lower mental process of thought, which is relatively slow. So this Arian type of intuition is an immediate direct knowing that is beyond thought. To be aware of knowledge at this level, one must cultivate awareness, through direct perception of the full spectrum of energy, from the grossest energetic movement to the finest spiritual subtle ripples. Yet at personality level Aries can be anything but subtle and may even develop a reputation for being direct to the point of bluntness, self-absorption, and oblivion to the needs of those around them. In fact, this is all normal and is part and parcel of what Aries is learning at this stage of soul development. As the first sign of the zodiac Aries is, in many ways, the “baby” of the zodiac. There can be an innocence and naïveté around Aries, with an expectation that life events should just be easy and somehow simpler than they often turn out to be in practice. It’s as if they have no experience of life which, in a sense, is true at soul level. In Esoteric Astrology, the Tibetan describes the soul in Aries as a “point of light in the mind of God,” and this simple phrase can tell us much about the soul experience in Aries. Remember Aries is a sign of the mind, so Aries comes filled with excitement, ideas, inspiration, and enthusiasm for the journey. The whole blueprint for the journey ahead is mapped out in his (or her) mind, and Aries brings the drive and the impetus to get started. It’s like that stage of a vacation or trip where you know where you are going and why, and the day has finally arrived. The time is now! You are full of enthusiasm, brimming over with excitement, and you take your first eager steps down the road. That is the energy of Aries. Nothing has happened yet to dampen your enthusiasm. You haven’t hit any obstacles or glitches, and because you can’t even foresee that there could possibly be any, you haven’t planned or prepared for them. Because you have never walked this path before, you can’t possibly imagine what could happen, which also means you have very few coping skills. Arians are great people to have around at the beginning of a project, because their innate inspiration and childlike enthusiasm can really put a light under the fire, ignite the project and get it started. But if you leave Aries managing the dull, day-to-day problems that will inevitably arise, you will soon see his feathers droop and his light go out, like an eagle caught in a rainstorm pathetically sitting dripping in a tree waiting to dry out before he can majestically soar again. Often Aries has the initial idea or impulse and lacks the next step. He can also be childlike in his expectation that his ideas should just instantly manifest into reality, with no further effort on his part. It’s as though the idea of cake should be enough in itself. “I just thought of it, so where’s my cake?” Like a small child he seems oblivious to the reality of what resources, skill and effort may be required to create cake. Associated with this is Aries’ tendency to just put out ideas and expect others to pick up the ball. There is an important balance needed whereby Aries tends to his own creative projects (the “seeds” of his inspiration) long enough for them to manifest and become established, before he hands them over too quickly to others. This way Aries learns to add skill to his amazing vision. Aries is a sign of vision, courage, boldness, leadership and drive. Imagine the military commander who can see a way forward through the forest. He isn’t personally going to cut down the trees! He’ll order someone else to do that because he is keeping his eye on the horizon, on the vision, and his concern is on driving through, pushing ahead, reaching that goal. Also, in his narrow focus, he may have given little thought with regard to the wider implications of cutting down trees and what that could mean in the long term. So we can see that Aries can also sometimes have a tendency towards blinkered vision: being preoccupied with only his own immediate issues and not considering the wider implications of his actions on others and his environment. Aries is not a loner, he is a leader, and a leader needs someone to lead. That is why Aries is the sign of the Ram. A Ram needs a flock, and wherever Aries goes, people follow. Because of his innate intuition and inspired and inspiring vision, people are naturally drawn to Aries. His confidence and vision are magnetic, and people naturally want to follow. So this brings Aries a vital lesson in responsibility. As much as he would like to be a free individual, Aries is part of the flock, and wherever he goes others follow. So he needs to carefully review his motives, raise his sights, and ensure that he is leading his flock onto the highest path and not the lowest. When Aries awakens spiritually and listens to his highest calling, he is an inspiring spiritual leader, guiding others with his altruistic vision towards the highest goals of all: self-realization, spiritual awakening and enlightenment. If he is sleeping (in a spiritual sense) he may be mis-leading people, taking actions and decisions that are either selfish impulses from his own ego, or simply leading others from ignorance, through being too caught up in a materially-driven, selfish and destructive society. • Cultivating self-awareness: awareness of both your own energy field and the effects and impact of your energy and actions on those around you. This will also awaken awareness of your spiritual energy. • Taming your mind: evaluating the billions of ideas that pass through your mind and learning to exercise judgment about which ones to pursue. • Focus, effort and tenacity: sticking with your creative projects and ideas long enough to birth them into reality, and applying the necessary personal effort to make it happen. • Expand your mind. Look deep within to see where your own worldview may be limited, and limiting you. You are on a fantastic journey from lower to higher mind! • Through meditation, become familiar with the Rainbow Bridge from lower to higher mind, so you can distinguish between an “impulse to act” that arises from lower mind, and one arising from higher, Divine Mind. If you have Aries Rising, you are here to ignite and inspire others with an infusion of Divine ideas, sacred fire, and spiritual energy so they may realize their own spiritual potential. 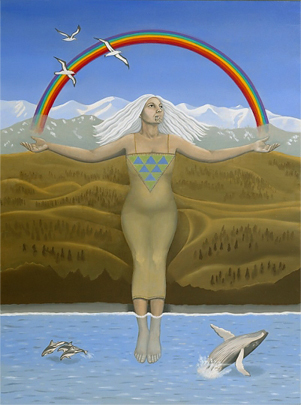 Before you can do this, you must cultivate self-awareness and realize your spiritual potential, so you can skillfully navigate the full spectrum of the Rainbow Bridge at will: accessing the highest realms of consciousness that are currently humanly possible, and living your life as the true spiritual “Rainbow Warrior” that you are. * For a deeper exploration of the importance of the Ascendant in spiritual awakening, see Shapter 6, “The Rising Sign and Its Deeper Significance,” in Transpersonal Astrology, by Errol Weiner. 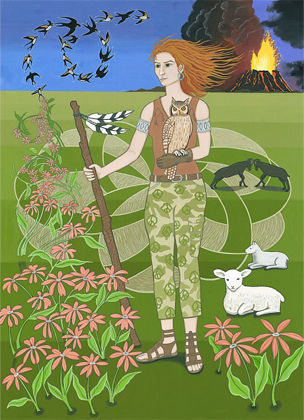 About the artist: This oil painting, the first in the Empowered Feminine Zodiac series by Seattle artist Karen MacKenzie, features Aries as a warrior of peace as new life bursts forth in Spring. 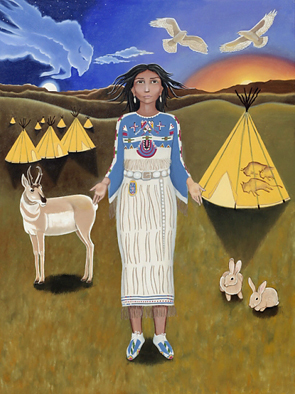 For more information about the symbolism in this print and to view other works in her ongoing series, check out her website, Karen MacKenzie Art (her prints are very affordable). This entry was posted in Guest Posts, Saturday Archives and tagged Aries, Errol Weiner, soul astrology on April 6, 2013 by Pat.